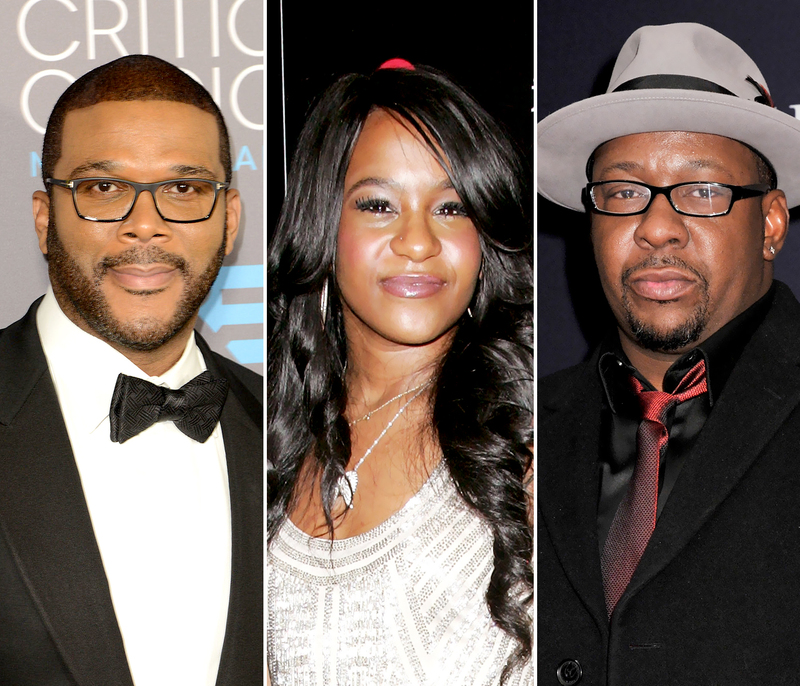 Tyler Perry lent Bobby Brown his private jet so he could be at his daughter’s bedside while she fights for her life in hospital. The 45-year-old actor reportedly offered to fly the musician, 45, from Los Angeles to North Fulton Hospital in Georgia, when he heard Bobbi Kristina Brown, 21, had been placed in a medically-induced coma after she was found unconscious in a bathtub by her husband Nick Gordon over the weekend. Tyler cast Bobbi in his TBS series For Better or Worse three years ago and had nothing but praise for her talent at the time. However, he’s since reached out to the aspiring musician but she was reportedly more interested in spending time with Nick, whom she married last January. An insider explained: “He reached out to Bobbi a few times and they talked, but she was very much living her own life. Meanwhile, the tragic incident comes three years after Bobbi’s mother Whitney Houston passed away in a bathtub at the Beverly Hilton Hotel in Beverly Hills on February 11, 2012. The Los Angeles County coroner’s office later confirmed the I Will Always Love You hitmaker died as a result of drowning and “effects of atherosclerotic heart disease and cocaine use”. Bobbi – who is believed to have significantly diminished” brain function – had reportedly become “obsessed” with the anniversary of her mother’s death in the lead up to the incident on Saturday.